The Talking about Racism: Unmasking the Elephant in the Room - A series of six interactive and progressive workshops exploring racism in contemporary American society. American racism is at the foundation of our partisan political system and is the factor most responsible for the election and popularity of our current president. Systemically embedded in the original fabric of the “promised” democratic freedoms, racism has morphed from the overt de jure discrimination of enslavement and Jim Crow into a sophisticated state and federal apparatus that uses brutality, imprisonment and legislation to keep its “colored” populations under control. The rise and “official” sanction of White nationalism, the backlash that is terrorizing immigrants and contracting U.S. immigration policies, the growing inequalities in wealth, political representation, educational opportunities, and access to employment, healthcare and housing between people of color and whites indicates a rising wave of regression and repression that undermines democratic ideals and diminishes the freedom of all. America is not in a “post-racial” stage of development and the election of Barack Obama was not the “triumph” of a colorblind American culture. Science has destroyed the biological myth of race. 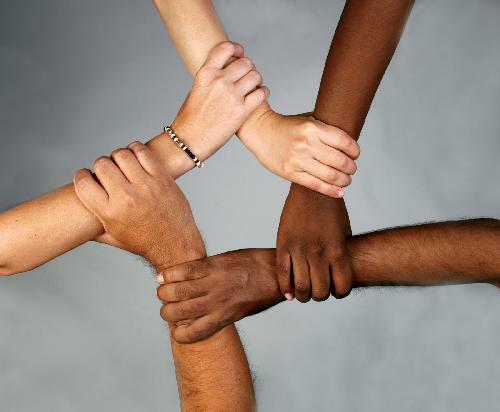 As an American society, we continue to allow racism to divide us to our peril. The climate crisis, the rise of the business oligarchs and the proliferation of technology all predict a future where cooperation and community are critical. These workshops will explore the concepts underlying the idea and reality of race and racism in America. The political and historic footprint of racism will be traced and we will look at the policies and practices that have kept racism alive and well in American society. We will address our own attitudes, implicit biases and family stories. We will focus on what it means to become anti-racist and explore conversational approaches to talking about race with our neighbors and friends. These workshops are open to people of all backgrounds. Each workshop will be experiential and complete in its entirety. The series is intended to build on the knowledge base of each segment but participants can come to workshops sequentially or to individual sessions. Why don’t we talk about race – protocols, avoidance strategies? Session Two – Master Narrative vs Back Story – how are perceptions shaped? Session Three –Color Blind is Color Mute – the myth of meritocracy – who is an immigrant? Session Six: Building Lasting Bridges – Where are we now and where can we go? Ann-Ellice Parker is a death educator and counselor. She is the owner of Seasons of Change, an end of life training and consulting company. She worked for 25 years as a health educator specializing in reproductive health and HIV prevention education. She brings a lifetime of political activism to her current anti-racism work. She is the proud grandmother of two, who believes that “We who believe in freedom cannot rest”. 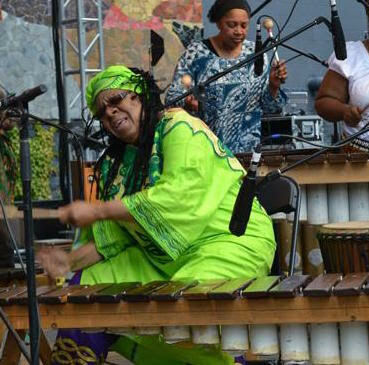 The participatory/interactive PASS IT AROUND engages the audience in dynamic, culturally specific and collaborative Body Music styles at Ashkenaz. With IBMF house band Corposonic Trio featuring Artistic Director and Body Musician Keith Terry, bass singer Bryan Dyer, and beatboxer Steve Hogan, the event features Balinese Kecak from Dewa Berata; Stepping from Antwan Davis; South Indian Solkatu from Jim Santi Owen; Contemporary Body Music from Evie Ladin’s MoToR/dance, flamenco from Clara Rodriguez y AguaClara Flamenco, The Ranky Tanky from Rhonda Benin, and Balkan Dance from Ivan Velev and Sean Tergis.. This dynamic and experiential evening will follow the successful model Keith Terry and the IBMF have utilized in previous global Festivals in Paris, France and São Paulo, Brazil. Step and Body Percussion Special Workshop with Antwan Davis! This beginner/intermediate Stepping and Body percussion class will challenge your body and mind with elemets of Greek collegiate stepping and stomp style body percussion. You will receive the elements to make you own steps in this very interactive workshop! Stomp and StepAfrika Alumnus Antwan Davis is a co creator of Molodi, and featured performer at the 2016 and 2018 International Body Music Festival. She was 18 years old and drop dead gorgeous waiting for a train. Out of nowhere she is assaulted by a deranged man. He slashes her throat and her accompanying sister is viciously stabbed. Within minutes, this young African American woman lies dead on the platform. Her accompanying sister lies in a pool of blood, and dozens of horrified spectators are traumatized. The offender, a random white man, gets away. This is Oakland, California, July, 2018. Twenty-first century racism has been repackaged, remaining deadly and ubiquitous. Lynching has been replaced by the continuous, brutal murder of unarmed Black men and women in the custody of the state. Unwritten Jim Crow laws and policies are enforced by “citizen vigilantes” taking matters into their own hands or calling in agents of the state when “uppity” Black folks dare to penetrate public or private “white spaces” . Hate crimes have tripled in the last 5 years. The President is separating families at the border, denying the Dreamers sanctuary, disparaging all People of Color. The wealth differential between People of Color and whites continues to widen, while life expectancy for People of Color remains a full 8-10 years less than that of whites. Runaway capitalism benefits the top 1% only, and systemic racism is upheld by every person remaining unaware, silent or too busy to become involved in dismantling a system that dehumanizes whites and every person of color within its borders. Talking about racism can be challenging. Come out to discuss strategies for change. Get tools for personal transformation and the support of community. These workshops are designed to stand alone as singular presentations, as well as building upon info shared. A single workshop is valuable, the series is constructed to shift the paradigms of our current racial identities. This is an in-depth exploration of racism as manifested in present day U.S. society. We will further explore the legacy of chattel slavery and its impact on the institutions, politics and cultural fabric of America. How do individual attitudes and actions contribute to or disrupt centuries old patterns of systemic discrimination and inequity? How can we develop a common vocabulary and protocols to identify and disconnect from White supremacist doctrine and practice? What are ways to develop alliances and mutually supportive networks to dismantle racism and to address state sanctioned police violence against Black and all people of color? Come out to discover ways you can be the change you want to see! Here is your chance to learn the ancient art of Tuvan throat singing from the world renowned members of Chirgilchin. Our teachers, Igor Koshkendey, Mongun-ool Ondar, and Aidyn Byrtaan-ool have been recognized as masters of throat singing, and they hold multiple international throat singing awards and honors. In this two-hour introductory workshop students will be split into small groups and cover the main techniques and styles of throat singing, including khoomei, sygyt, and kargyraa. All ages and skill levels are welcome. Instructors: Igor Koshkendey In 1998, Igor took the top prize at the International Competition of Throat Singing in Kyzyl, Tuva’s capital. During Chirgilchin’s second international tour, Igor won the Grand Prix at the Llangollen International Musical Eisteddfod in Llangollen, North Wales. He went on to win the International Competition of Throat Singing in Tuva again in 2002. Igor is known around the world for his mastery of multiple styles of throat singing, and especially for being the only throat singer to master the techniques first invented by legendary throat singer Vladimir Oidupaa. Today, Igor directs the Tuvan Cultural Center for traditional arts, in addition to performing with Chirgilchin. His illustrious musical career shows no sign of slowing down - in 2017 he won Best Urban Song in the Latin Grammy Awards for his collaboration with Puerto Rican musician Residente. Mongun-ool Ondar Mongun-ool began studying throat singing at the age of 13, and went on to win the International Competition of Throat Singing at the age of 16. He is recognized as a master of all six styles of throat singing, and has developed a new style of his own. His incredible solos can express and inspire profound feelings of tragic sadness or blissful joy, with a complexity that would astound John Coltrane or Jimi Hendrix. His singing is, without a doubt, guaranteed to blow your mind. Aidyn Byrtaan-ool Aidyn studied under the late Kongar-ool Ondar, who held the esteemed honors of People's Throat Singer of the Republic of Tuva, and Honored Artist of Russia. Under the direction of Mr. Ondar and as a member of the folk ensemble Ertine, Aidyn performed at international festivals in Germany and France, and competed in national competitions at home and abroad. Today, Aidyn is a soloist in the Tuvan National Folk Orchestra and a member of Chirgilchin. He commands a high level of professionalism in all traditional Tuvan instruments, and is a laureate of multiple international throat singing competitions and symposiums. 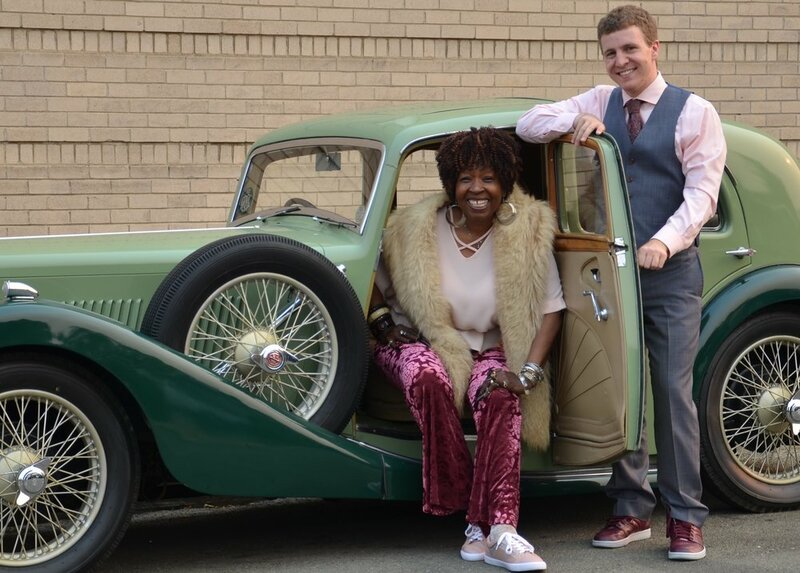 Blues master Faye Carol has shared the stage with Albert King, Lowell Fulson, Charles Brown, & many more. Learn about the many grooves and regional sounds of the blues and explore how you can Get Down on the blues too. Open to all! “Race” or the idea that people of different ethnicities and cultures are fundamentally different is not supported by science. “Racism” or the systematic oppression and regulation of ethnic groups based on the fiction of “race” is endemic to the culture, politics, traditions and legal structure of the U.S. In a nation built on the labor of enslaved Africans, the inequalities in justice, housing, healthcare, employment and education between Black people and White people have never been greater. Now, when the election of the current president has given license to the expression of hate – how can we begin to have dialogues that explore common interests? How can we speak to each other without denigration and accusation? Where can we learn tools for communication and community building? This workshop will address why we don’t talk about race and offer positive strategies to begin dialogues with family and friends. Open to people of all backgrounds, we will explore the mono-ethnic perspective that overshadows (and dehumanizes) our social, economic and political relationships, and model new ways of appreciating the richness of our multi-ethnic heritage and experience.